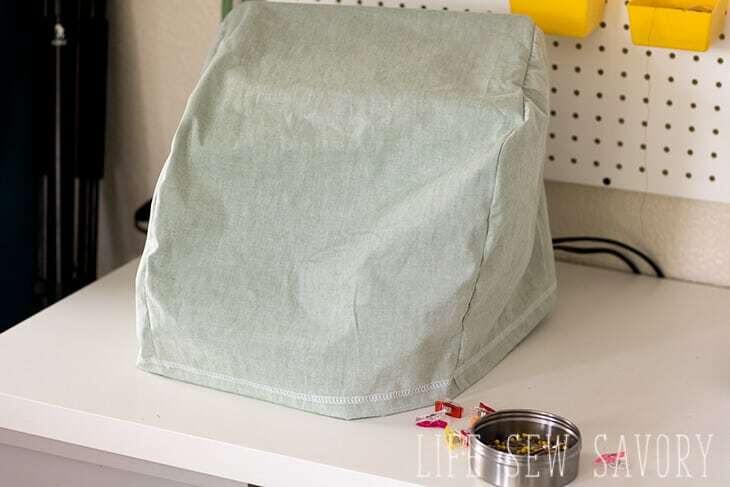 This simple sewing tutorial will discuss how to make a sewing machine cover. I’ve been wanted to make some for my machines ever since I got these machines last year. I used the plastic ones that came with the machines a bit, but since my sewing areas is right in our main living area I wanted something a bit prettier. 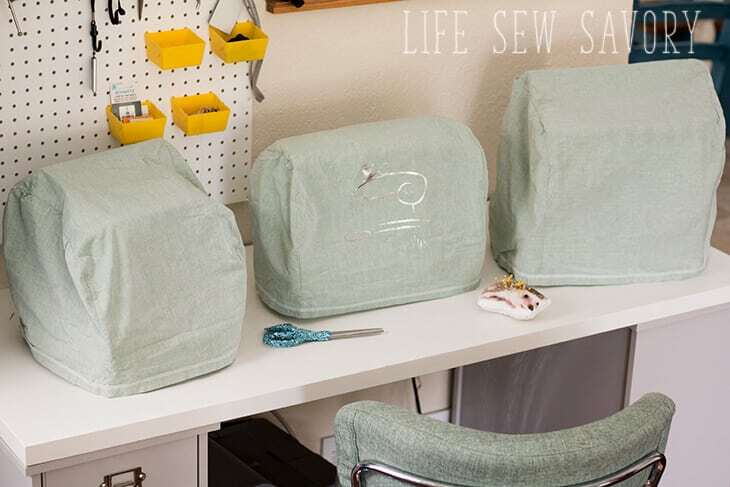 These custom covers not only look good, but they fit my sewing machines well! You can also add vinyl detail to your sewing machine covers. The first step for making your own sewing machine covers is to measure your machine. I’ll show you how I did one, and then you can copy for other size machines. My covers have side panels and then a continuous front and back. For the side panels you need the height and width. 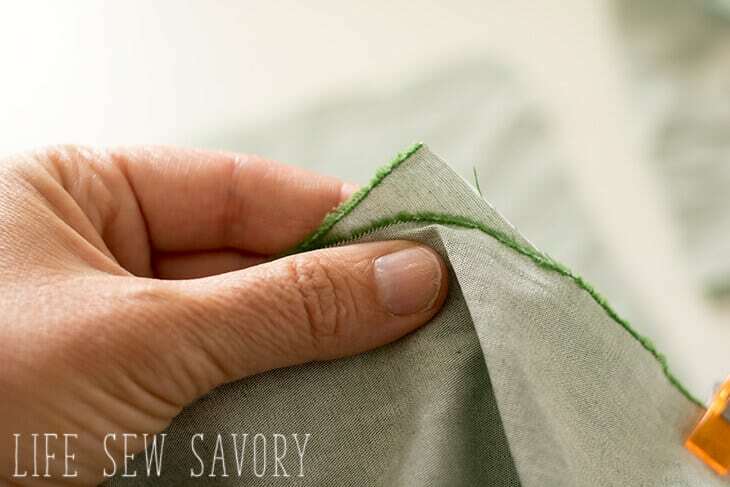 Add a 1/2 inch to the side and top for seam allowance and then 1″ to the bottom for the hem. 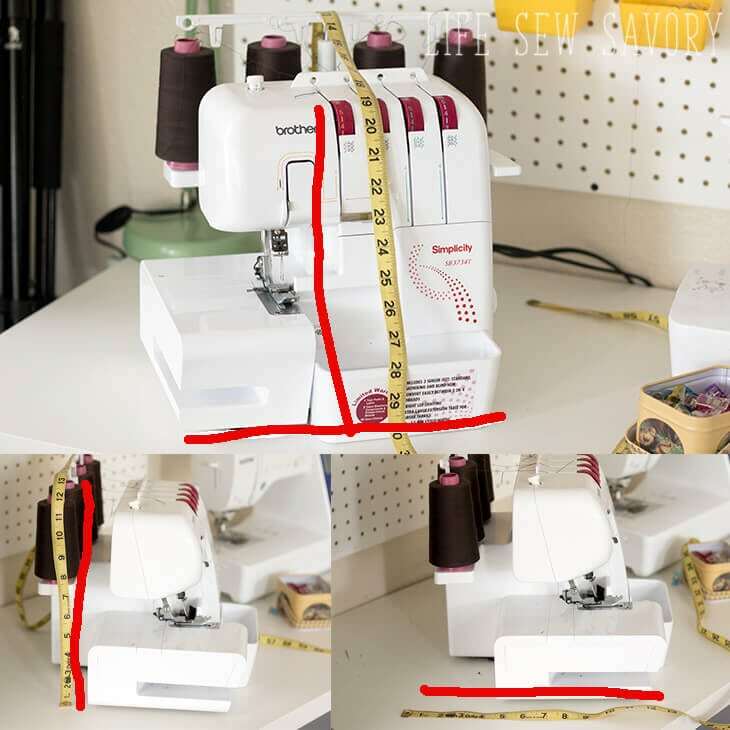 Push the thread holder down and then measure from the table on the front over the top to the table on the back. You will want to add 2″ for a hem on either side. Cut the side panel rectangles based on your measurements. If you want to angle a bit on the top for the difference in height between the thread at the back and the front of the machine. I trimmed a bit off the front edge to fit the machine better. Take the long front/back piece and pin it along the edge of the side. Start at the back and work your way to the front. Curve the corners as seen in the next photo. 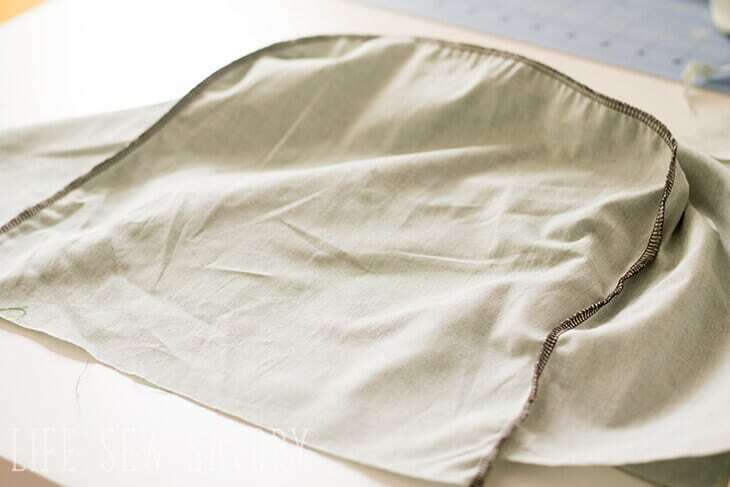 Sew with the 1/2″ seam allowance and curve the corners. 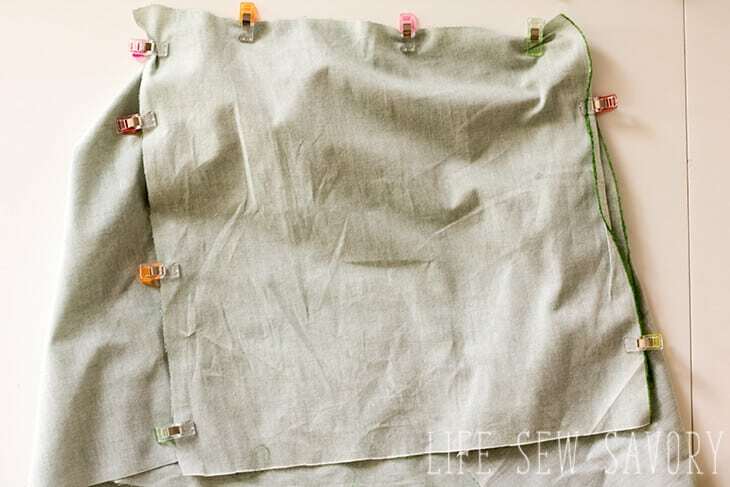 Repeat with the other side, then turn under a 3/4″ hem to finish the sewing machine cover. Here’s a finished cover. You can always take in the edges or side a bit more if you want it more fitted. I added my sewing machine logo in silver vinyl. 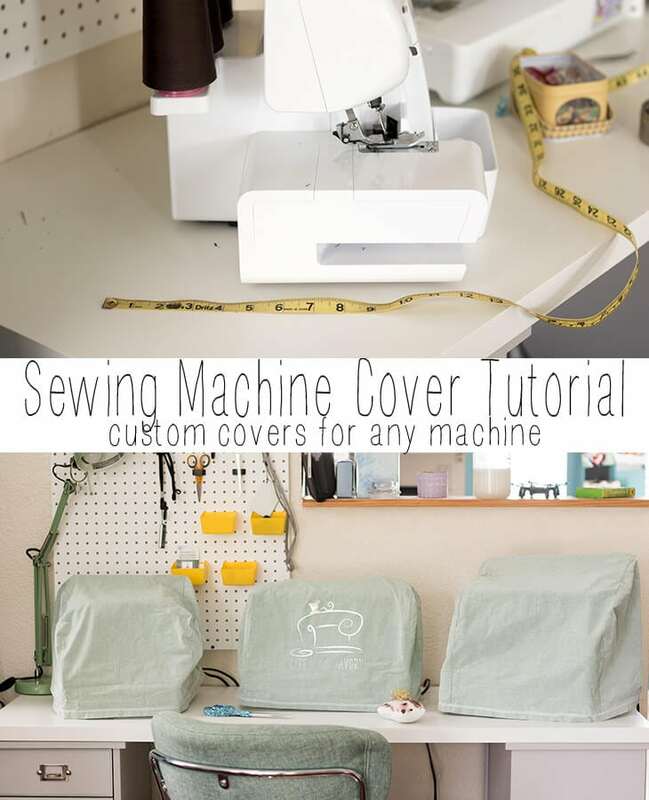 Now that you know how to make a sewing machine cover you can sew up one for every machine you own. I have three sewing machines, plus my Scan N Cut.. How many do you have? I accidently found this site..I love it. This is a project I’ve been looking for (for about two years now). Thank you for posting it so simply and easy to follow. And reference your sewing machine logo, I have a cricut. 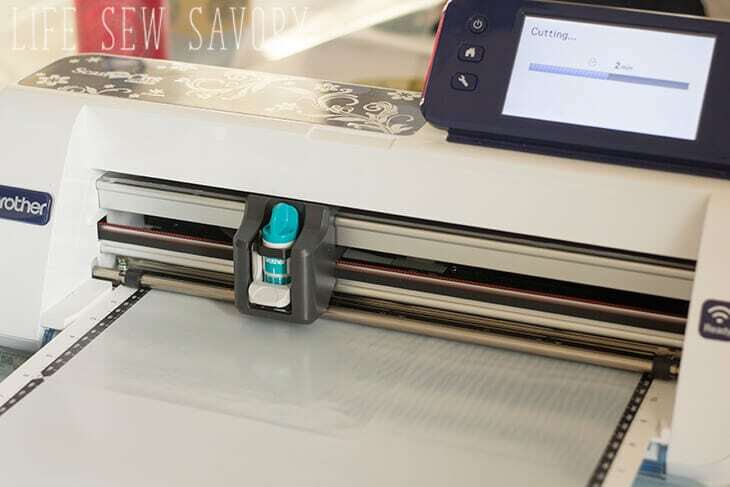 Where can I get that design in a format for cricut? the sewing machine cover is one of the most beautiful thing to groom the machine. it looks really great when it covers it up. and it also saves our machine from dusts. Do you recommend any special fabric for it? thanks for sharing such a nice tutorial. 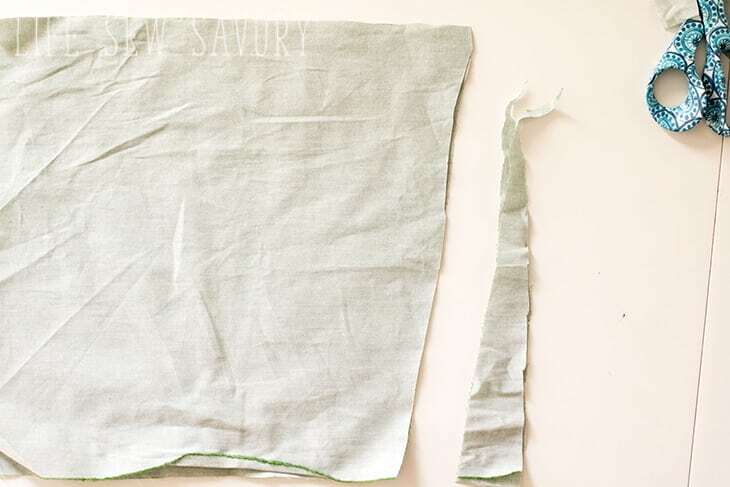 I absolutely love the Life Sew Savory site. 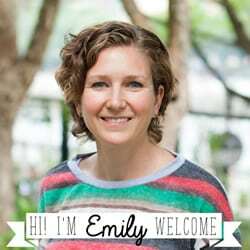 Emily is just a natural at her sewing, DIY projects, and recipes. She’s a true home maker and that’s a big job. I’ve printed many of her free patterns and watched her tutorials. Thank you Emily for sharing your talents.